Search Engine Optimization updates have an unending cycle of change that makes every leading or evolving website vulnerable to unexpected ranking alternations. An example was when Google implemented Google Panda back in 2011. This change kicked many websites out of their previous ranking, due to poor content quality and other factors. The search filter update wasn’t the first nor the last. Before that was the Hummingbird then after that was Pigeon, Payday, etc. Familiarizing the SEO business might require more detail before diving in to the investments and advertisements. And even when these practices are mastered, developers must be able to accept future updates positively. It would be better if they are not stuck with one habit of advertising. Remember that basic formulas might not work for every SEO upgrade. · Creating a content that adapts to the growing standards of SEO algorithms. By aiming for the top spot, it’s crucial to write something original rather than duplicated contents. This will eventually be easy for search engines to identify the quality of your site. · Installing Google Webmasters (Search Console) and Google Analytics. Since Google is the leading search engine website, generating their tools beforehand would be less stressful. With Google Webmasters tools, you can work on your content and check it thoroughly to make sure it is not a clone of another site’s subject. · Detect your crawl budget. SEO experts notice that this hack is usually ignored by most creators. By filtering tags, you make good use of the crawl budget you are given. · Remember: Google will penalize a site if it doesn’t meet the mobile access standards. Since the growth of mobile internet use, it has become a major factor in Google. By investing on your site’s development and design, make sure that it includes a mobile-friendly structure. · Forget the “SEO shady tactics” and invest in Influencer Marketing. Practicing this type of marketing will produce better results that those unfruitful SEO schemes. · Improve quality for titles, tags, meta descriptions etc. A unique content doesn’t usually stand on its own, it will need support from these. Aside from using random tags, focus on the exact description or target of the content. Also, creating a concise and effective title is always what online visitors would choose. Lastly, involve your keywords in your title tag and meta description. · Use re-direct checkers. Before proceeding to publication, run a thorough check with your sites quality and make sure every necessity is working by your standards. · Discover tools that will be useful for your content and target audience. Garnering basic facts about SEO will not be effective if it lacks the manpower it needs. Whatever your subject or target may be, there are various SEO tools available around the web, ready to be discovered. By researching about the possible investments and essentials, you might stumble upon websites that offer the assistance or tools you need. · Be prepared for changes. 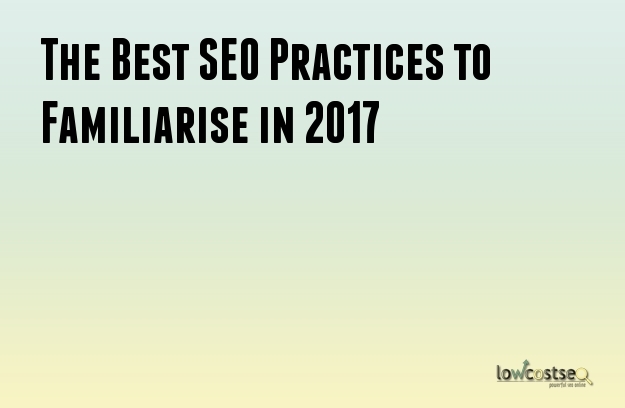 As mentioned, SEO algorithms will keep on updating but with high-quality SEO services, you might be just fine.